Ethereum (ETH) and Ethereum Classic (ETC) are two separate currencies. However, the addresses are identical in format, so it's very easy to accidentally send ETH to ETC and vice versa. If you do this by mistake, your transaction will show confirmations, but your funds will never appear in your wallet. However, don't worry! Your funds are safe and fully retrievable! We now include the ability to perform cross-chain sweeps automatically without having to manually import and export private keys, which would be a security risk. 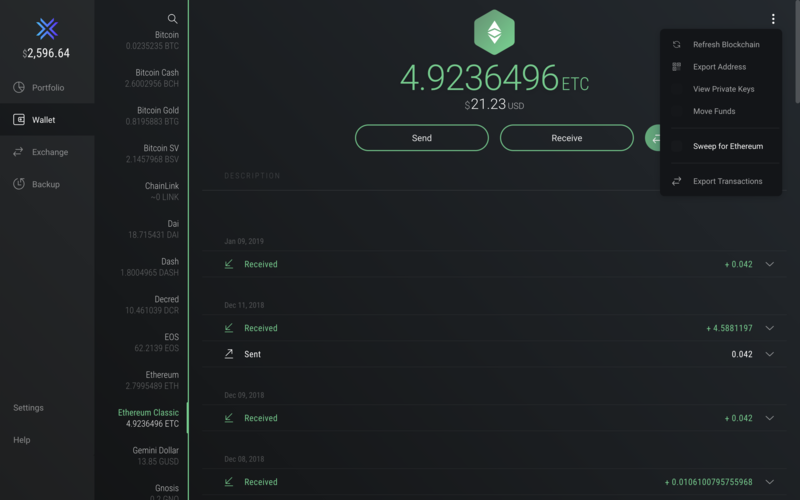 First, navigate to the Ethereum Classic (ETC) section of your wallet. Next, click on the Asset Menu in the upper right hand corner of your wallet. If you don't see the Asset Menu option in your wallet, be sure to update to our latest release. Voila! 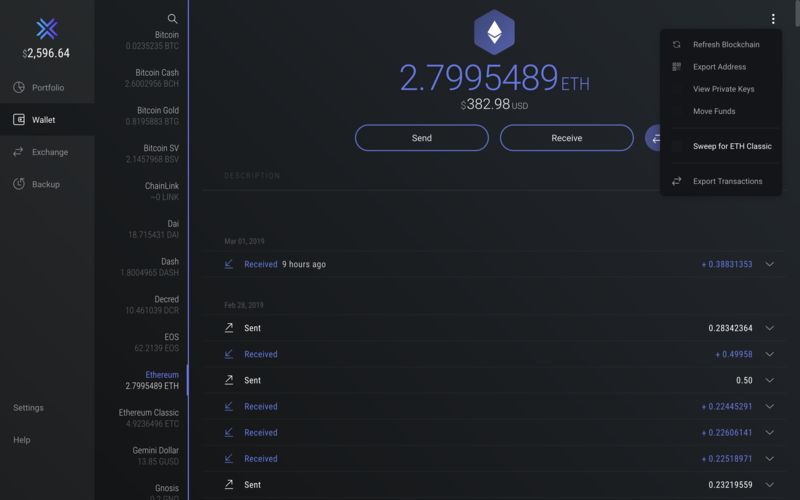 Your Ethereum (ETH) will be moved to your Exodus ETH address, and you will see it in your wallet's balance. First, navigate to the Ethereum (ETH) section of your wallet. That's all there is to it! Your funds will be in their correct location after running this process.